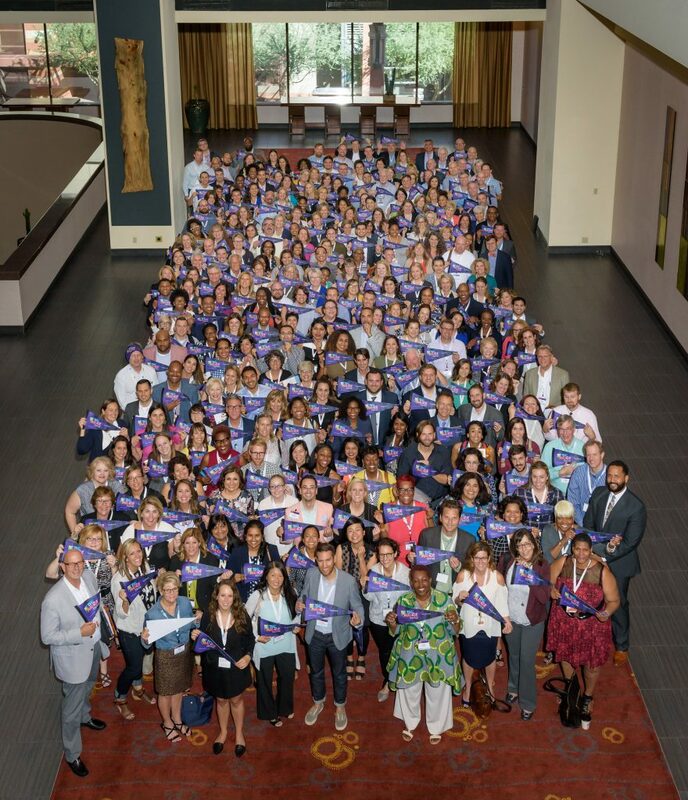 At StriveTogether, we are still riding high on the energy and ideas generated at the eighth annual Cradle to Career Network Convening. 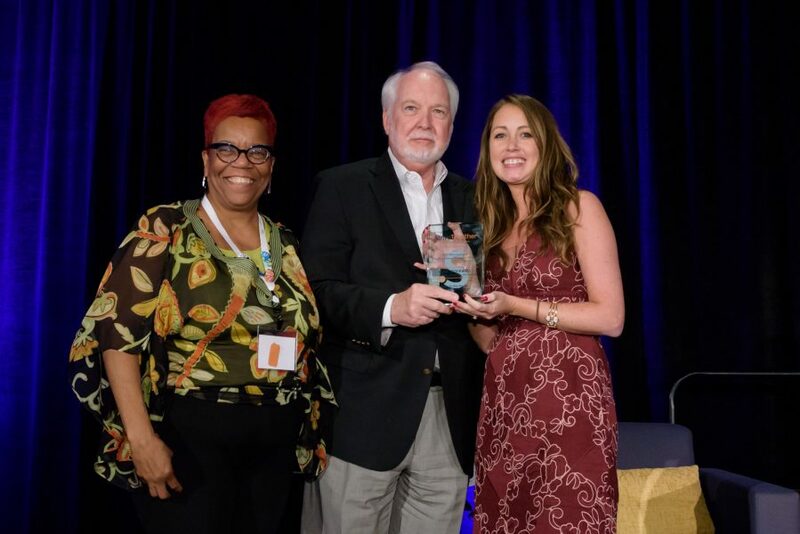 I hope you are feeling that high too if you were among the 400-plus champions of change who gathered in Phoenix last week for Be the Change: Getting Results for Every Child. Amid sharing and learning from each other during 2 ½ days of workshop, plenaries and other fun activities, StriveTogether made some exciting announcements that validate the complex and challenging work of ensuring the success of every child, from cradle to career. The Commit Partnership is our second Proof Point community. What this really means is that two Cradle to Career Network communities — Dallas County and Cincinnati/Northern Kentucky — are changing systems and seeing 60 percent of their success indicators improving or being maintained year after year. We are one step closer to reaching five Proof Points in 2018! We hope to share more good news and stories as other communities change systems and improve outcomes. Read our blog here about Commit. We have adopted a new strategic plan to guide our work for the next five years that has garnered a major investment from Ballmer Group. We are in the early stages of determining how the community challenge fund will work, and we will keep you updated throughout the process. You can read more details about the plan in our press release. If you’re a member of the Cradle to Career Network, you can visit the Partner Portal and access our communications toolkit. Let’s congratulate John Stockwell again for winning the 2017 Cradle to Career Champion Award. 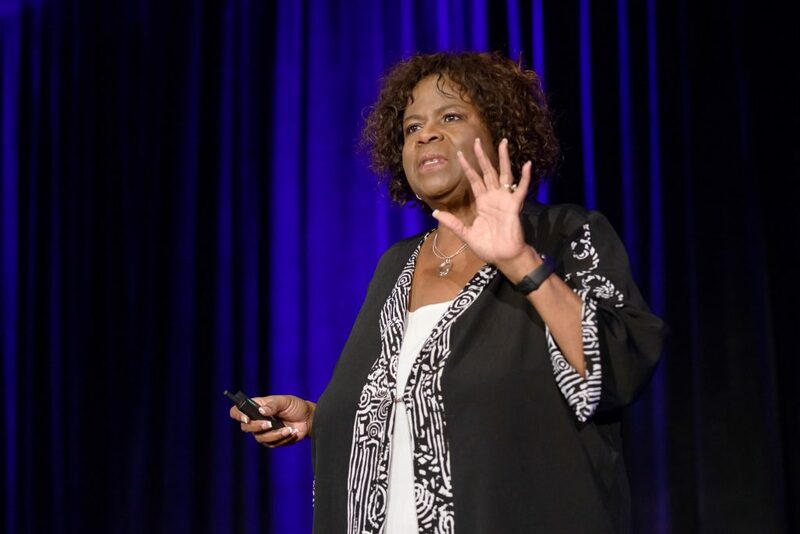 Stockwell is executive director of Spartanburg Academic Movement, which was one of the first community partnerships in the Network to frame its strategic plan around our nationally recognized approach. From former Microsoft CEO and current Ballmer Group Co-founder Steve Ballmer to PolicyLink President Michael McAfee, we had so many fantastic speakers and presenters during our plenaries and workshops. Many of them spoke about the importance of using local data to inform action, engage the community and improve equitable outcomes. 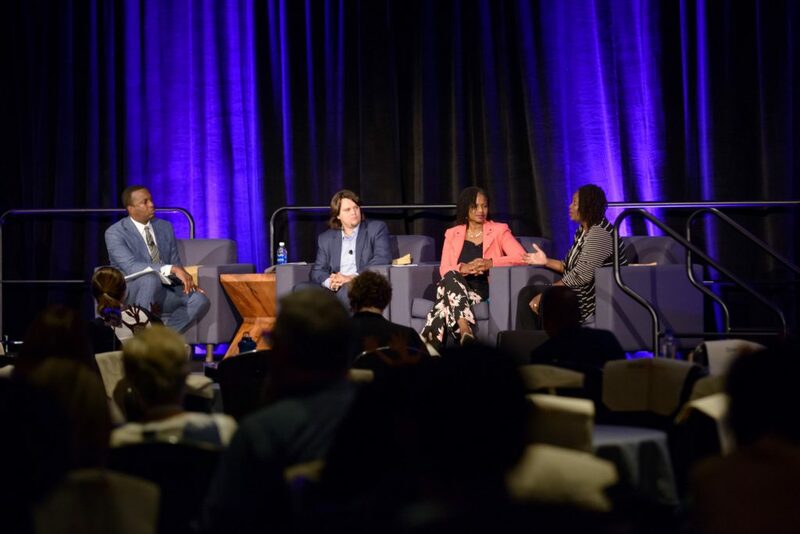 (From left) Michael McAfee of PolicyLink, Munneer Karcher-Ramos of Promise Neighborhood, Sondra Samuels of Northside Achievement Zone and Michelle Walker of Generation Next at the closing plenary. 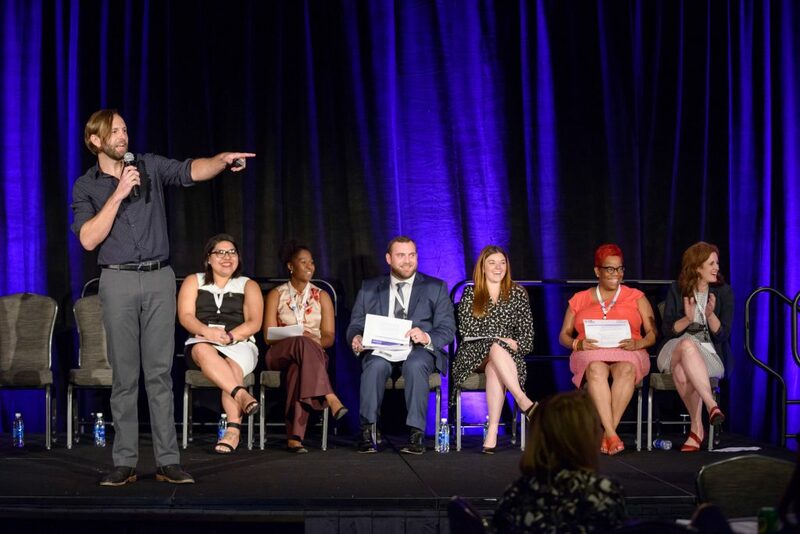 A number of other key insights emerged for me from the amazing lineup of plenary speakers we had at this year’s Convening. Mark Sturgis of Seeding Success during the plenary on the strategic plan with partners and members of the Cradle to Career Network. Invest in capacity and capability. This work requires investment in capacity and capability at multiple levels, yet both remain under-resourced in nearly every community. Both figure heavily as core capacities and strategies in our new strategic plan. We encourage Network members to take advantage of leadership development opportunities coming up. Make sure to keep reading News You Can Use for updates! Simplify the message. 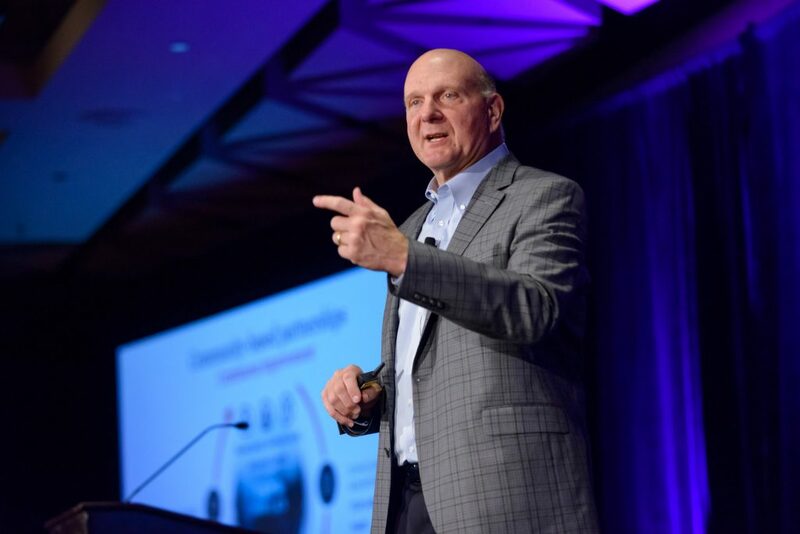 As Steve Ballmer said while on stage at the opening plenary, we have to eliminate jargon and “get the narrative right.” One of the core components of our approach is a shared community vision. How can we achieve that if people don’t understand what we’re saying? Clear communication is never a one-time solution; it’s an ongoing process. We need to stop trying to sound so smart and start simplifying our messaging! Carla Santorno, superintendent of Tacoma Public Schools, shares a story of impact during the Being the Change plenary. She spoke as a partner of Graduate Tacoma. We can continue to accelerate progress and sustain success if we internalize these insights and use them to inform our behavior. As we’ve said before, insights must lead to action for true impact. I’d also love to hear your thoughts about what resonated most with you, so leave comments below and let’s get a discussion going! As an organization, StriveTogether is committed to building on the momentum from this event. We want to maintain and strengthen the connections made among Cradle to Career Network members, and to further share out the tools and lessons that are accelerating progress in communities. Over the next year, we will offer more opportunities for us to work and learn together — faster. The time we spent together in Phoenix last week was deeply insightful and inspiring. Thanks to everyone who was able to come. Your dedication to the success of every child is what keeps moving this work forward. As we look ahead to what remains to be done, think about what contribution you can make in your community — no matter your role — to get better results for kids and families.